Get our new Resume Builder Script which act as the smart dashboard script for building all types of resumes and cover letters in one place, because the competition for jobseekers are high in the global, and where the students resumes are looking same as other resumes with normal formal style and templates, to resolve this situation we like to introduce our new integrated MyPerfectResume Clone Script to solve this solution with advanced resume highlight functionality and the latest trends style font formats, and with professional portfolio job seeking templates, and this script will also help the new entrepreneurs to start-over the resume builder business site with advanced features. Our JobHero Clone Script will have user-friendly access to the script which makes the new user to access the site without any guidelines steps. The new users can sign-up with their valid mail id and secure password, at next time they can simply log-in to the profile where they can see the user profile biography like name, age, date of birth, qualifications and designations etc. The user can also have the membership plan for the profile highlight to get unique additional templates and this JobHero Script is designed with network structure sitemap with unlimited categorizations and sub-categorizations, the user can upload their CV and they can add their favorite templates and cover letters from unlimited categories listings and also they can edit & build the resume from the basic and visual editor. In our Resume Clone Script the user can view & manage the resume by looking the history revision and can add the section title, credentials etc. At-last they can see the profile completion percentage and also we added some more features like resume guide, job search blog, CV templates, online career resource guide and weekly resume analytics and graph. The user can keep privacy options for their resume, cover letter by setting them as public, private visibility to other users, they can able to view the other resume or cover letter by making the premium membership account. The admin can act as the supreme control of the entire site and can manage the site details and functions. The admin only approve the user request and company request, he can manage the user management, CV managements, statistics of the membership management, appearance, adding or deleting the templates, user account and CMS pages. Since we are more than 16 years’ experience in this field, our only target is to satisfy the user requirement and to provide high return on investment by purchasing our MyPerfectResume Script, we also offer1-year technical support, 6 months free update services, and brand free SEO-friendly URL site. This script allow user to edit and modify resume on own way. 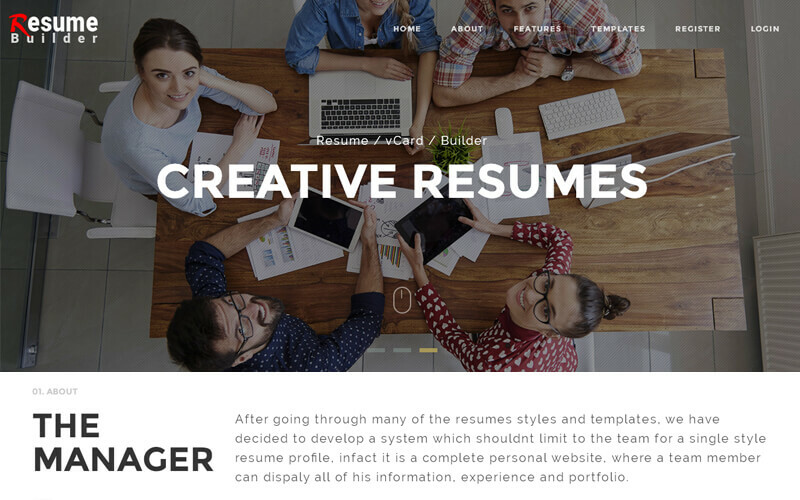 So it’s easy to create your own resume with high professionals. This team delivery method honestly I appreciated because once I settled money they are give the script in same day. Here after I feel free to buy all the scripts in PHP Scripts Mall only!!! The staff at PHP Scripts Mall was massive talent! You guys were extremely patient with us and very generous with the time you spent with our company to ensure the highest quality of 24*7 customer service.